A Bill to provide for compensation to the States for loss of revenue arising on account of implementation of the goods and services tax for a period of five years as per Section 18 of The Constitution (One Hundred and First Amendment) Act, 2016. (1) This Act may be called the Goods and Services Tax (Compensation to the States for Loss of Revenue) Act, 2016. 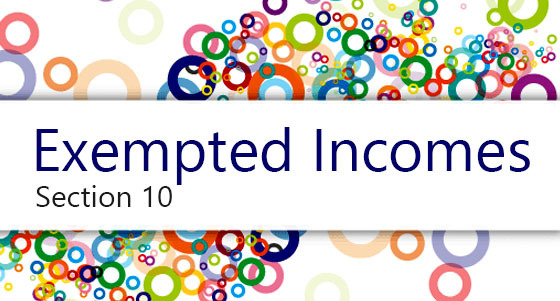 (18) words and expressions used but not defined in this Act and defined in the Integrated Goods and Services Tax Act, 2016 (… of 2016) shall have the meanings respectively assigned to them in that Act, in the context of GST Compensation Cess levied on taxable supplies of goods and/or services made in the course of inter-State trade or commerce. The projected nominal growth rate of revenue subsumed for a State during the transition period shall be 14% per annum. For the purpose of calculating the compensation amount payable in any financial year during the transition period, the financial year ending 31st March 2016 will be taken as the base year. (g) Any cess or surcharge levied by the State Government under any Act which is included in the definition of ‘earlier laws’ as per section 2(39) of the State Goods and Services Act of the concerned State. (2) The Acts of the Central and State Governments under which the specific taxes are being subsumed into the goods and services tax shall be as notified. (d) Entertainment tax levied by the State but collected by local bodies, under any Act enacted under the erstwhile Entry 62 of List-II (State List) of the Seventh Schedule to the Constitution, prior to bringing into effect the provisions of the Constitution (One Hundred and First Amendment) Act, 2016..
(4) In respect of the State of Jammu and Kashmir, the base year revenue shall include the amount of service tax collected by the State Government. (5) In respect of States mentioned in article 279A(4)(g) of the Constitution, the amount of revenue foregone on account of exemptions given by the State Government to specific entities under the laws specified under sub-section (2) to promote industrial investment in the State would be included in the total base year revenue of the State, subject to the conditions as may be prescribed. (6) The base year revenue shall be calculated as per sub-sections (1), (2), (3), (4) and (5) on the basis of the figures of revenue collected net of refunds given in that year, as audited by the Comptroller and Auditor General of India. (7) In respect of any State, if any part of revenues mentioned in sub-sections (1), (2) and (3) are not credited in the Consolidated Fund of the respective State, the same shall be included in the total base year revenue of the State, subject to the conditions as may be prescribed. (1) The GST compensation payable to a State shall be provisionally calculated and released at the end of every quarter, and shall be finally calculated for every financial year after the receipt of final revenue figures, as audited by the Comptroller and Auditor General of India (CAG). 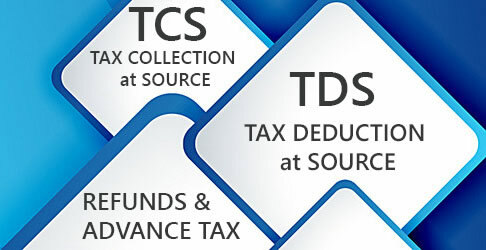 Provided further that in case any excess amount has been released as GST compensation to a State in any financial year during the transition period, as per the CAG audited figures of revenue collected, the excess amount so released shall be adjusted against the GST compensation amount payable to the State in the subsequent financial year. (a) The projected revenue for any financial year during the transition period, that could have accrued to a State in the absence of GST, shall be calculated as per section 6. (b) The actual revenue collected by a State in any financial year during the transition period would be the actual revenue from State Goods and Services Tax collected by the State, net of refunds given by the State under Chapter XI of the SGST Act, and the Integrated Goods and Services Tax apportioned to that State, as certified by the Comptroller and Auditor General of India. (c) Total GST compensation payable in any financial year shall be the difference between the projected revenue for any financial year and the actual revenue collected by a State as defined in sub-section (b). (a) The projected revenue that could have been earned by the State in absence of GST till the end of the relevant quarter of the respective financial year would be calculated on a pro-rata basis as a percentage of the total projected revenue for any financial year during the transition period, as calculated as per section 6. (b) The actual revenue collected by a State till the end of relevant quarter in any financial year during the transition period would be the actual revenue from State Goods and Services Tax collected by the State, net of refunds given by the State under Chapter XI of the SGST Act, including Integrated Goods and Services Tax apportioned to that State, as certified by the Principal CCA (CBEC). (c) The provisional GST compensation payable to any State at the end of the relevant quarter in any financial year shall be the difference between the projected revenue for till the end of the relevant period as per sub-section (3)(a) and the actual revenue collected by a State in the said period as defined in sub-section (3)(b), reduced by the provisional GST compensation paid to a State till the end of the previous quarter in the said financial year during the transition period. (4) In case of any difference between the final GST compensation amount payable to a State calculated as per provisions of sub-section (2) upon receipt of the audited revenue figures from the CAG, and the total provisional GST compensation amount released to a State in the said financial year as per sub-section (3), the same shall be adjusted against release of GST compensation to the State in the subsequent financial year. (5) Where no compensation is due to be released in any financial year, and in case any excess amount has been released to a State in the previous year, this amount shall be refunded by the State to the Central Government and such amount shall be credited to the GST Compensation Fund in a manner as may be prescribed. Explanation.— For the purpose of this section, the actual revenue collected would include the collection on account of SGST net of refunds of SGST given by the State under Chapter XI of the concerned SGST Act, and any collection of taxes on account of the taxes levied by the respective State under the laws specified under section 5(2), net of refunds of such taxes. (1) Every taxable person registered under CGST Act, 2016, making a taxable supply of goods and/or services, shall furnish such returns in such formats, as may be prescribed, along with the returns to be filed under the Central Goods and Services Tax Act, 2016, shall pay the amount payable under the Act in the manner as may be prescribed and apply for refunds of cess paid and refundable in such form as may be prescribed. (2) For all purposes of furnishing of returns and claiming refunds, except for the format to be filed, the provisions of the Central Goods and Tax Act, 2016, and the rules made thereafter, shall, as far as may be, apply in relation to the levy and collection of the cess leviable under section 8 on all taxable supplies of goods and/or services, as they apply in relation to the levy and collection of Central Goods and Services Tax on such supplies under the said Act or the rules made thereunder, as the case may be. (1) The proceeds of the GST Compensation Cess leviable under section 8 shall be credited to a non-lapsable fund known as the GST Compensation Fund in the Public Account, and shall be utilized for purposes specified in section 8. (2) All amounts payable to the States under section 7 shall be paid from the Goods and Tax Compensation Fund. (3) Fifty percent of the amount remaining unutilized in the GST Compensation Fund at the end of the transition period shall be transferred to the Consolidated Fund of India, and shall be distributed between the Centre and the States and amongst the States as per provisions of clause (2) of article 270 of the Constitution; and the balance fifty percent shall be distributed amongst the States in the ratio of their total revenues from SGST in the last year of the transition period. (1) The provisions of the Central Goods and Tax Act, 2016, and the rules made thereafter, including those relating to assessment, input tax credit (subject to sub-section (3)), non-levy, short-levy, interest, appeals, offences and penalties, shall, as far as may be, apply mutatis mutandis in relation to the levy and collection of the cess leviable under section 8 on the intrastate supply of goods and services, as they apply in relation to the levy and collection of Central Goods and Services Tax on such intra-state supplies under the said Act or the rules made thereunder, as the case may be. (2) The provisions of the Integrated Goods and Tax Act, 2016, and the rules made thereafter, including those relating to assessment, input tax credit (subject to sub-section (3)), non-levy, short-levy, interest, appeals, offences and penalties, shall, as far as may be, apply in relation to the levy and collection of the cess leviable under section 8 on the inter-state supply of goods and services, as they apply in relation to the levy and collection of Integrated Goods and Services Tax on such inter-state supplies under the said Act or the rules made thereunder, as the case may be. (3) Provided further that the input tax credit in respect of GST Compensation Cess on supply of goods and services leviable under section 8, shall be utilised only towards payment of GST Compensation Cess on supply of goods and services leviable under section 8.